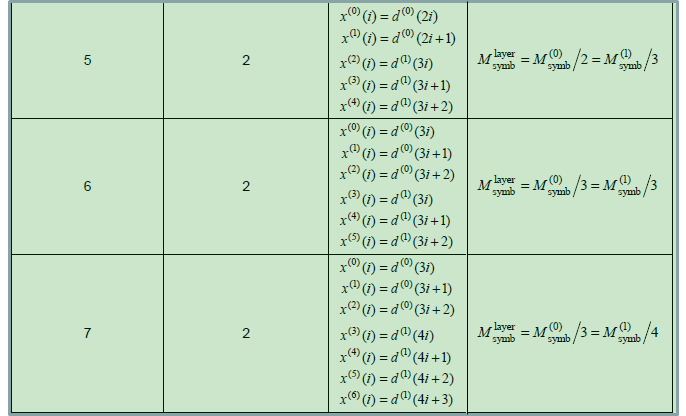 This page would deal with the sections highlighed as below (From 3GPP 36.211). Layer Mapping in Rel 8 was relatively simple and intuitive since the number of antenna were only 2 in maximum (the spec itself defined more than 2, but in practice I didn't see any Rel 8 UE or even eNB that support more than 2 antenna). But with LTE Advanced, especially with Rel 10 and higher, we are seeing more and more UE and Networks supporting more than 2 antenna. Once the number of physical antenna, layer mapping would not look like intuitive and be confusing. So I decided to write a separate page for layer mapping in LTE Advanced. Just to give you more intuitive understanding of these table shown above, I represented two typical items as illustration. 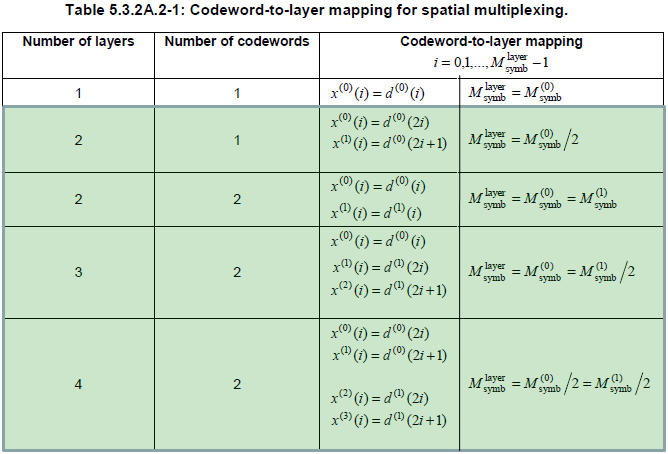 Following illustration is the case where the number of codeword is 2 and number of layer is 4. 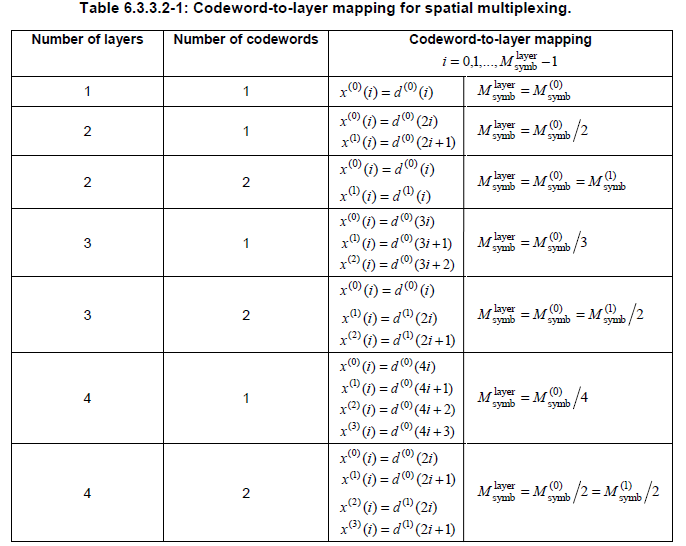 Following illustration is the case where the number of codeword is 2 and number of layer is 8.